Have you considered a garage door Planned Maintenance Program? In most instances, a garage door is the largest and heaviest moving object in your home or business. The door must be properly adjusted and maintained in order to continue functioning safely and efficiently. Your local Central Utah Door Company offers a Planned Maintenance Program to provide and ensure the ongoing safety and proper operation of your home or business’ garage door. Garage doors are in use every day, resulting in unavoidable wear and tear. To keep your door in working condition and help minimize the chance of major repairs required in the future, a planned maintenance program is a great option and makes perfect sense. Whether you want to have maintenance done quarterly, semi-annually, or annually, you can find a program that fits your home or company needs and budget. Inspecting rollers, cables, chains, tracks, bottom bars, alignments, etc. Tightening hinges, couplings, back hangs, track brackets, drums, etc. As you can see from that list of maintenance options, there are lots of moving pieces and parts that keep your garage door in good working order. Start a regular maintenance program today and ensure your doors proper operation. We can diagnose small issues early on before they become major problems. You will receive a written report outlining any recommended additional repairs. Trust all of your garage door repair needs to the industry leader, Central Utah Door Company. We know that within most markets there are companies and individuals who prey on consumers, especially ones who are not fully aware of how to locate a professional. Unfortunately, this is true within our very own industry and profession. Here are 10 tips to help you, the consumer, make the best choice when hiring a garage door company to repair or sell a you a new garage door. Does the business have a brick and mortar office in the community? Has the business provided you with names of satisfied customers? Have you checked with the Better Business Bureau, Angie’s List or Chamber of Commerce? Does the company carry required insurance; very important. Many companies are also accredited by the Institute of Door Dealer Education and use IDEA certified door technicians. Does the company install products or repair them in compliance with local, state and federal codes? If you are requiring only repair or service work, make sure you obtain a firm estimate prior to authorizing the work. If the cost of repair or service seems extremely unreasonable, it probably is. Although it may seem unimportant, are the company vehicles clean and professionally signed? If required, do they include a contractor license number? Are you looking for garage door roller replacements or are you interested in updating bent hinges? Your garage door has many working parts, from cables and springs to tracks, rollers and more. If any of these parts malfunction, your door may become inoperable. Replacing worn rollers and worn or bent hinges will provide smoother and perhaps quieter operation. When it comes to a bent, broken, or malfunctioning rollers and hinges, trust your repairs to Central Utah Door Company. Replacing garage door rollers and hinges can be very dangerous and should be performed by a trained professional. Frequently, you will find different types of hinges and rollers at the top, middle, and bottom parts of your door. 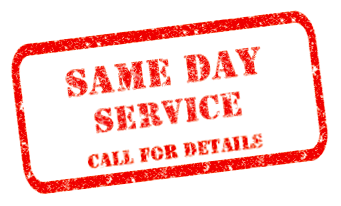 Call and schedule service today with one of our local, friendly and experience garage door technicians and they provide the proper replacement rollers with minimum fuss and maximum customer satisfaction – just the way you like it. Garage doors are incredibly important in both residential and commercial settings, and that’s why our service technicians are ready to serve your garage door needs. We can handle any garage door repair you might encounter, whether it’s on a basic residential door or a heavy-duty commercial door with many thousands of cycles. The next time you need replacement rollers and hinges, call your local technician at Central Utah Door Company. Are your garage door cables broken? The cables are an important piece of equipment that ensures smooth and efficient operation of your garage door. Most often these cables are attached from the drum located near the top of the door to the bottom section of the door. These cables hold the door’s weight as the garage door moves upward and downward. When a cable breaks, your door becomes inoperable and needs to be repaired in order for it to function properly once again. Garage door cables can be a very dangerous part of the door to replace or repair without the proper training and tools. The cables are typically under incredible amounts of tension, and therefore, must be handled with care by a trained professional. For safety reasons, we highly recommend that when faced with a broken garage door cable, please contact your local and professional garage door repair technician. Our highly trained and skilled technicians will safely examine and assess the issue, then take the necessary steps to have your door working again. We will do it as efficiently and effectively as possible. The next time you are faced with a broken garage door cable, trust your repairs to the industry leader, Central Utah Door Company. Give their team of professionals a call, or schedule service online today. Fix your broken garage door spring fast! Centralutahdoorservice.com helps you find your local garage door spring replacement expert. We replace broken torsion springs and extension springs on residential, commercial and industrial sectional, rolling steel, and one-piece curtain doors among many others. Springs should never be adjusted or repaired by individuals who are not properly trained to perform this task and may not have the proper skills and or tools. Continuing to operate your door with a broken spring is very dangerous and can cause additional damage to the garage door and electric opener systems. A spring replacement is one of the most common repairs required on a garage door. These springs come in varying sizes and act as a balance, lifting most of the garage door weight. This allows the door to easily open and close manually or with the assistance of an opener. Garage door springs have a limited lifespan. This lifespan is measured in cycles, with the door going up and coming back down counting as one cycle. While there are various lifespan options, most common garage door springs come with a 10,000 cycle life expectancy. Your spring replacement frequency will be determined by your garage door usage. Once the springs reached its life-cycle, it may break, effectively releasing all the tension and no longer assisting to balance the door. The spring has the most tension when the garage door is in the down position, and as a result this is the most likely position for the spring to break. That is not to say the spring could not fail while the door is in a raised position, which would result in door crashing down. This is why it is important to never walk under a garage door in motion. Central Utah Door Service’s team of knowledgeable and friendly technicians have the industries best experience replacing broken springs on garage doors. Replacing a garage door spring can be very dangerous, and we highly encourage you to contact your local garage door repair expert to handle this repair today! If you have a high cycle application, our garage service team may be able to provide extended use high cycle springs. Fix your broken garage door spring fast! Central Utah Doors helps you replace broken torsion springs and extension springs on residential, commercial and industrial sectional, and rolling steel doors. Once the springs reached its life-cycle, it may break, releasing all the tension and no longer assisting to balance the door. The spring has the most tension when the garage door is in the down position, and as a result this is the most likely position for the spring to break. It is possible, though, for the spring to fail while the door is in a raised position, which would result in door crashing down. This is why it is important to never walk under a garage door in motion. Extreme weather happens. Increasingly, manufacturers are building garage doors to withstand extreme wind loads to better protect your home and everything inside you’ve worked so hard for. High winds from hurricanes, tornados and severe storms can reduce homes to splinters. We’ve all seen jaw-dropping storm devastation played over and over on TV news and on the Internet. We’ve all known someone affected by killer storms. And we all hope beyond hope that it will never happen to our homes. Researchers studying the wind effects of devastating storms note that garage doors are often the entry point for damage. The garage door is typically the largest opening on a house. If it’s a flimsy door, it could blow in when exposed to pounding, heavy winds. And that can lead to a catastrophic chain of events. The point: A strong garage door is an integral part of maintaining the structural integrity of a home. The latest International Residential Code calls for garage doors to be tested to withstand 90mph winds, and even higher in some parts of the country. Manufacturers have responded with heavily reinforced garage doors that often include extra horizontal struts, vertical posts, long-stem rollers, double hinges, extra track brackets, stronger track and stronger fasteners. Strength comes in two flavors: active and passive reinforced garage doors. Active reinforced doors require a little sweat equity from the homeowner when a storm is on the way. Posts are installed in the garage floor and in the header of the garage door to embrace extreme winds. When the storm calms down, the reinforcing posts come down until the next serious windstorm. Passive systems are already in place and ready to go as soon as a storm hits. If homeowners are evacuated, for example, they simply lock the system and it’s ready to go. If there’s a sudden evacuation notice and you need to get out in a hurry, all you need to do is flip a latch. While nothing can stand up to a direct hit in a monster storm, stronger garage doors mean homes are better equipped to stand up against powerful winds. The extra protection means a few extra dollars for a reinforced door, but for the extra investment, homeowners can sleep a whole lot better while your home rides out the storm. include extra horizontal struts, vertical posts, long-stem rollers, double hinges, extra track brackets, stronger track and stronger fasteners. Active reinforced doors require a little sweat equity from the homeowner when a storm is on the way. Posts are installed in the garage floor and in the header of the garage door to brace for extreme winds. When the storm calms down, the reinforcing posts come down until the next serious windstorm. Now that you’ve decided you are ready to add to your home’s beauty and value by purchasing that new garage door, the most important thing you need to remember is that you must have it installed by a professional. This is so important, let’s say it again: have your garage door installed and serviced by a professional. This is not a job for a DIY-er with minimal knowledge of the task at hand. For most Americans, a garage door is the largest moving object in the home. Garage doors are both large and extremely heavy. This means that not only are they incredibly difficult to lift, but install it wrong and it can come crashing down with unbelievable force. “Installing a garage door system is complicated, and can be a dangerous task if not done properly. A professional door dealer will help you find the perfect door for your home, and install it correctly and safely,” said Chris Long, Managing Director, International Door Association. 1. Is the installer a member in a professional association? Look for a door dealer professional that is a member of the International Door Association (IDA). It’s the only national association devoted to the professionalism and continuing education of garage door dealers. IDA members tend to have more experience, more knowledge and are guided by a customer-friendly professional code of ethics. 2. How much experience does the installer have? How long has the company been in business? If it’s a new company, do the owners have experience working in the door and operator industry? As a general rule, the more years, the better. 3. Does the dealer have satisfied customers or reviews available? This may be the most important checkpoint. Does the door dealer have satisfied customers? Are you willingly given phone numbers so you can talk directly to past customers, or do you have access to letters of recommendation from customers? 4. What type of insurance coverage does the dealer have? It is important that door dealers carry the proper insurance on their business and employees. Ask for a copy of the company’s certificate of insurance. If it doesn’t have one or hesitates to provide it, this could be a red flag. 5. Does the dealer comply with codes and regulations? There are many requirements that apply to safety and the installation of a garage door system. Federal, state and local codes and regulations must be followed. Ask the dealer about how he or she complies with the codes in your city. Selecting the right door dealer is as simple as asking a few questions. Don’t hesitate to call two dealers and ask these same questions. They take only moments to answer, and yet they can help you find an honest, competent professional who can solve your garage door problem. CLEVELAND, OHIO – according to statistics compiled by metropolitan police departments, approximately 50 percent of all residential burglaries occur because a garage door is left open or is outdated and no longer secure. The garage door industry is reminding homeowners in 2009 to make it a practice to keep their garage doors closed when not in use. Today’s technologies enable new garage doors to provide greater security than the garage doors of yesteryear. garage doors paired with open-door alert systems, miniature keyring remote controls and numerically coded or fingerprint keypad entry systems keep unwanted visitors out of your home and away from your family’s belongings. GarageWownow.com, a non-commercial, home improvement resource sponsored by the garage door industry, provides ways to improve home safety and security. in addition to explaining the advantages of installing today’s new garage door styles, the site also offers insight to the many garage door accessories that can keep a home safe. How many times have you gone in your house after working in your yard or carrying groceries out of your car and left the garage door open? new garage doors can be equipped with an open garage door monitor that can be affixed to your door system. When a garage door is left open, a warning light will indicate “open door” – a signal for you to close your garage door. Homeowners can sleep easy, knowing their garage doors are closed and their families are safe. Another tool for the security-minded homeowner is a miniature keyring remote control. think about it. leaving your garage door remote control opener in your car – whether it’s parked in your driveway or anywhere – is the same as leaving your house keys on your driver’s seat. Long recommends replacing your visor-clip remote control with a handy miniature keyring remote control. Hooked onto your keychain, these remotes can easily be carried with you at all times. One of the most popular garage door accessories is a keypad entry system mounted outside your garage door. With these devices, you can open your garage door with a simple swipe of your fingerprint or by entering a 4-digit code. These tools keep out intruders while providing easy access only to the people who need it. give your personal code only to family and trusted friends. fingerprint controls can also be programmed for multiple fingerprints. Long invites homeowners to visit garageWownow.com for information on the newest accessories, the latest styles of garage doors and a dealer locator. the site is a valuable resource that sells no products and is sponsored by the garage door industry’s dealer and manufacturer associations.